Axis Of Oversteer: Driving a simulator has a strange effect on Kimi? 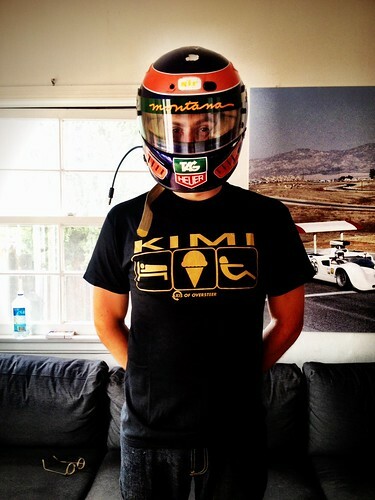 Driving a simulator has a strange effect on Kimi? 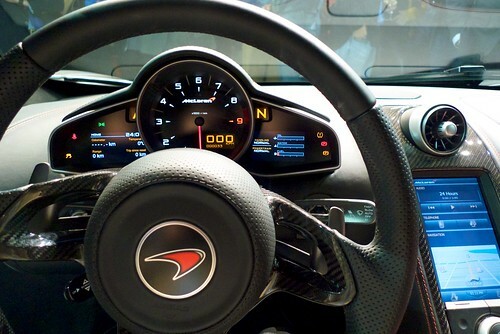 After Sports Illustrated's epic "Juan Pablo Montoya returning to F1 for "Chap" Ganassi" headline, it's worth noting news of Raikkonen being "forced to drive a simulator" by Ferrari. 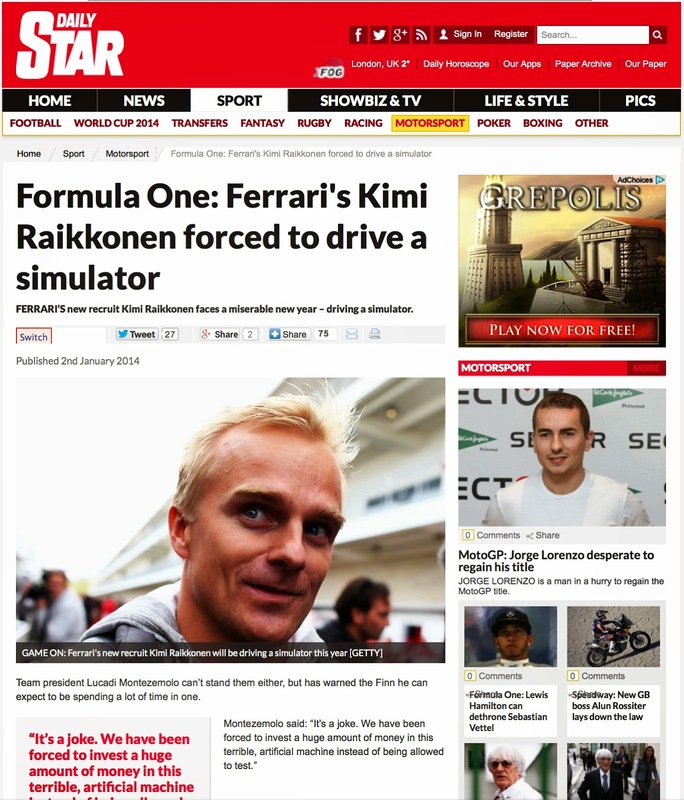 Amazingly, as per Great Britain's quality tabloid The Daily Star, Raikkonen has come out of this harrowing experience looking a lot like Heikki Kovalainen. Oh well, I guess all Finns look the same. Perkele!